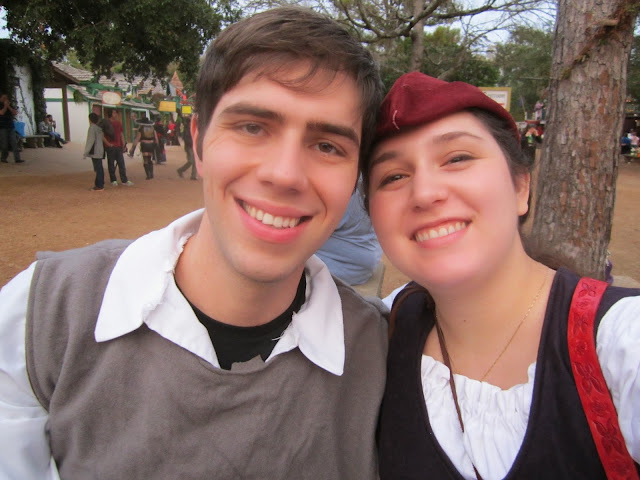 This year Gunnar and I went to the Renfair as a date, after leaving the kiddo with his grandparents for the day. Gunnar wore a mishmash of old costume bits that were lying around my parent's house including the first (terrible!) undershirt I ever made many years ago and John's gray wool tabard. 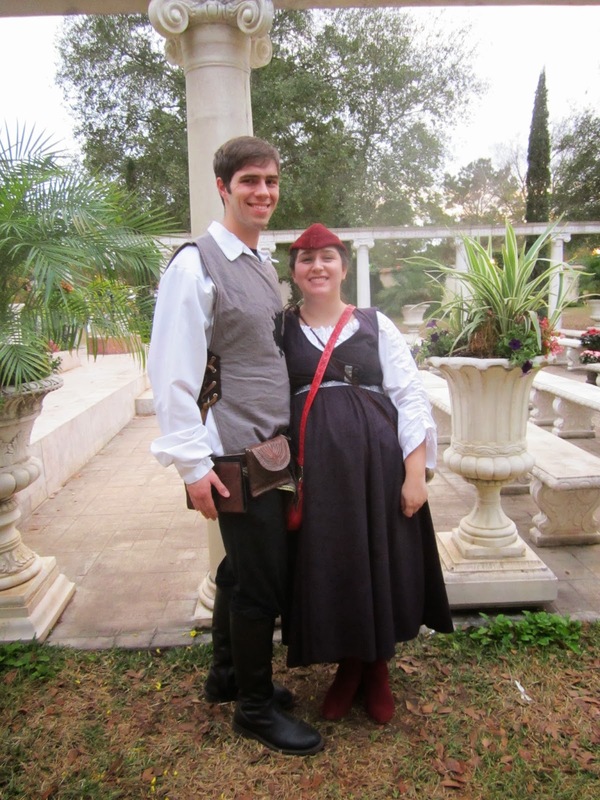 My costume came together nicely for being 24 weeks pregnant, considering that it wasn't intended to be worn while pregnant! The top is a crossover reversible bodice in dark purple faux suede, only half-laced up, and then I pulled the matching skirt up to create an empire waist over the gaping top and bulging bump. The underdress is the same one I wore under my fairy outfit a in 2011, the hat I bought last year at the fair, and the boots were a wonderful estate sale find! It was a wonderful relaxing day with gorgeous Texas winter weather. I didn't even need to wear the hooded cloak I made and brought just-in-case. More on that later!